The etiquette of who pays for the bridesmaids dress is quite clear but when it comes to hair, makeup, and accessories the rules are less clear. 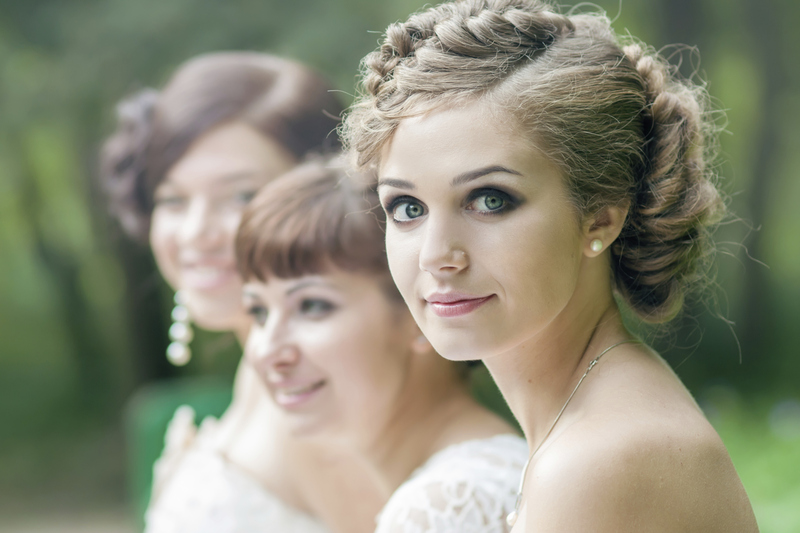 Read on to find out why you should pay for the bridesmaid hair. Most bridesmaids are close friends or sisters of the bride, so it shouldn’t pose a problem to have a discussion about who will pay for what. It can be more awkward, however, if you have chosen your future sister-in-law or any other member of the groom’s family as a bridesmaid. Some bridesmaids are honoured to play a role in the day and are happy to pay to have their hair done, while others don’t feel they should be out of pocket because the bride has chosen for them to have a professional hairstylist. One option is to mention that you’ll pay for the hair and makeup as a thank you for all their help as your bridesmaid, and then they’ll be aware that they will not receive an additional thank you present. Alternatively you could just offer to pay for the hairstylist and make- up artist, and then just hope that the bridesmaids offer to cover the costs themselves. If you expect your bridesmaids to pay for their hair styles you will need to take their ideas into consideration, and they have every right to refuse the style you have chosen for them. Your image of what your bridesmaids’ hair and make- up should look like may be completely different to theirs, but if you are footing the bill you will have more of a say in the final look. If you want them to pay themselves you should give them the option of doing their hair and make- up themselves, or finding someone else instead of the professionals you have chosen. If you choose to have their hair styled professionally, and to have their make- up applied by an experienced make- up artist, it is only fair that you cover the cost for this. Bridesmaids’ hairstyles and make up will last just for one day, and once the wedding is over the hair and make- up is washed away. The main reason that bridesmaids agree to pay for their dresses, shoes, and accessories is that they can usually be used again as long as they are reasonably stylish. Bridesmaids are often happy to pay for a smart dress if they can see an opportunity to wear it to another wedding or formal event. Bridesmaid dresses and shoes: who pays? Who pays for bridesmaids’ dresses etc?